Spring Tulip Flower Field. Red Bright Tulips And Blue Sky. Spring Flowers Background Or Texture. The Netherlands Flower Industry. Lizenzfreie Fotos, Bilder Und Stock Fotografie. Image 100373528. Standard-Bild - Spring tulip flower field. 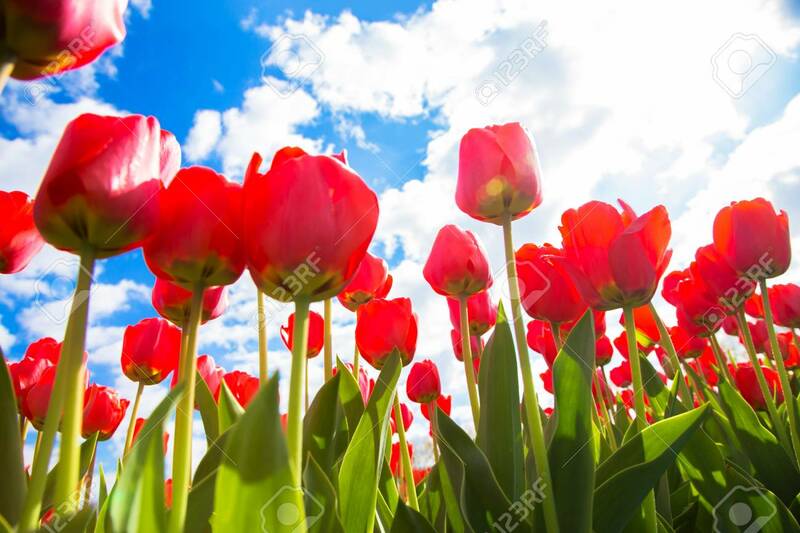 Red bright tulips and blue sky. Spring flowers background or texture. The Netherlands flower industry. Spring tulip flower field. Red bright tulips and blue sky. Spring flowers background or texture. The Netherlands flower industry.